Our product range includes a wide range of dynamic compression plate dcp 2.7mm small, t plate 2.7mm, l plate 2.0mm (l/r), cortex screw 2.7mm and dynamic compression plate dcp 2.0mm. Customers mostly preferred to purchase quality products, so we are involved in offering best quality of Dynamic Compression Plate DCP 2.7mm Small. 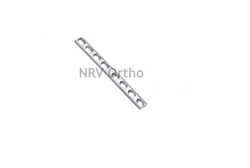 The offered Dynamic Compression Plate DCP 2.7mm Small is extensively used in orthopedics for internal fixation and in many other suitable applications. 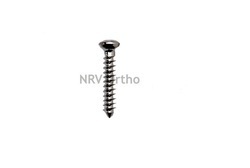 Available in Stainless Steel AISI 316 L.
Fixation with 2.7 mm Screws. 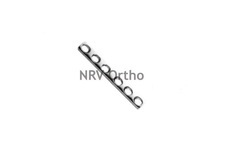 Leveraging on the skills of our professionals, we are involved in offering best quality of T Plate 2.7mm. 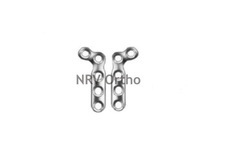 This T Plate 2.7mm is available in the market at reasonable rates. 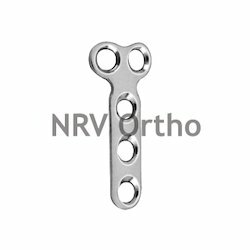 The offered T Plate 2.7mm is extensively used in the plate positioning slots and for non-reconstructable mid-shaft long bone fractures. Having year of experience in this domain, we are involved in offering best quality of Dynamic Compression Plate DCP 2.0mm. This Dynamic Compression Plate DCP 2.0mm is available in the market in wide range at most affordable rates. Further, the offered Dynamic Compression Plate DCP 2.0mm is easy to use. Available in Titanium alloy (As per ISO 5832-2) & Stainless Steel AISI 316 L.